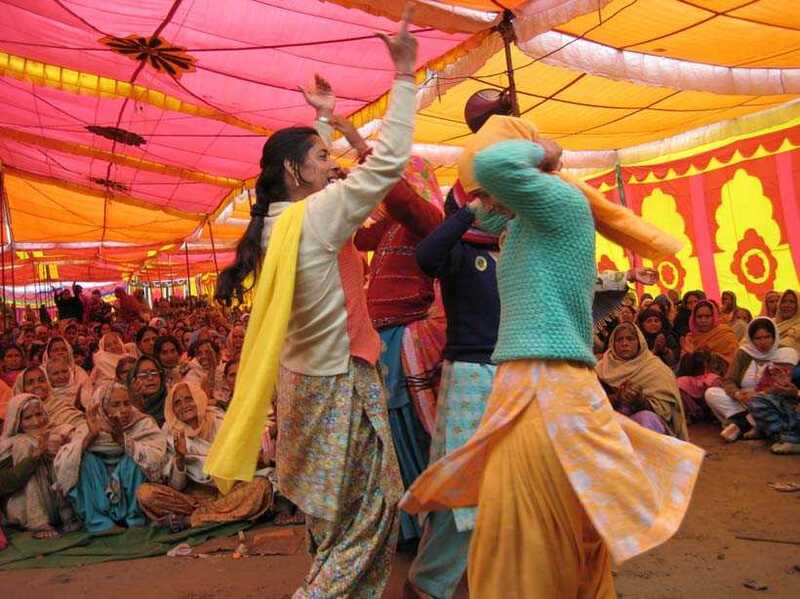 Every day in India, 12 women will die in “bridal burning,” the murder of a woman for an inadequate dowry or to allow the husband to remarry. Despite the obvious perils of marriage, Indian women who aren’t married can suffer an almost worst fate. Because they challenge the ideal of a properly married woman, they’re viewed as being sexually loose, inauspicious, and even dangerous. Older widows are neglected and abused, and younger single women (widowed, divorced, abandoned, never married, or fleeing domestic abuse) are often thrown out of both their in-laws and their own parents’ home – with their children. Economically at risk and socially ostracized, single women also have no access to health care, pensions, ration cards, public sector jobs, and government aid. Well, they’re mad as hell and they’re not taking it anymore. 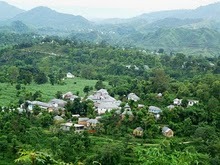 Yes, the single women of Himachal Pradesh, a hilly state in northwest India, south of Kashmir at the base of the Himalayas, decided to stand up and say, “No more!” They started ENSS (the Association of Empowered Single Women) http://www.sutra.org.in/enss.htm in 2005 and today 6059 dues-paying members are making it their cause to force the state legislature to recognize single women’s rights for social justice and dignity. 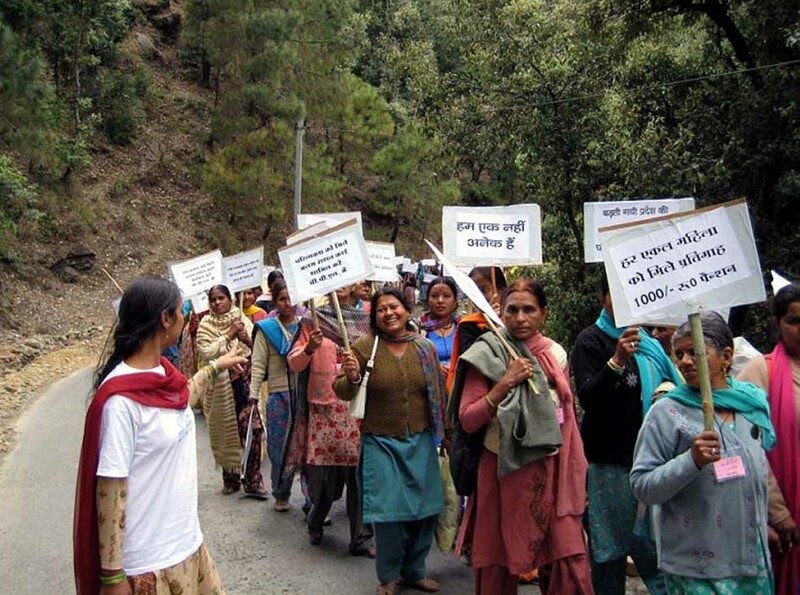 On April 8, 2008, over 2700 ENSS single women, aged 20 to 90 from every caste and class, marched for three days to present their demands at the state capital of Simla… and thanks to their grassroots activism, significant advances were made. But the ENSS’s major initiative– to convince the government to grant single women leases to land of their own, has been unsuccessful. Are these women taking no for an answer? Absolutely not. These single women of India are only asking for the chance to create nya sasural ( a family of one’s own), and they’re willing to be awfully courageous and indomitable to realize that dream. And that’s worth $100 to me. Your blog is just so eye-opening to me sometimes. I realize what a sheltered, self-centered life I live when I just can’t imagine things like this going on in today’s world. Thank you for all of your hard research once again. Unfortunately, what we are discovering is that even women with jobs, a good education and income don’t have the courage to pull out of marriages and homes where they are being pressured for dowry or pushed to abort female babies. These are cases we have dealt with. We have to change the social mindset too. 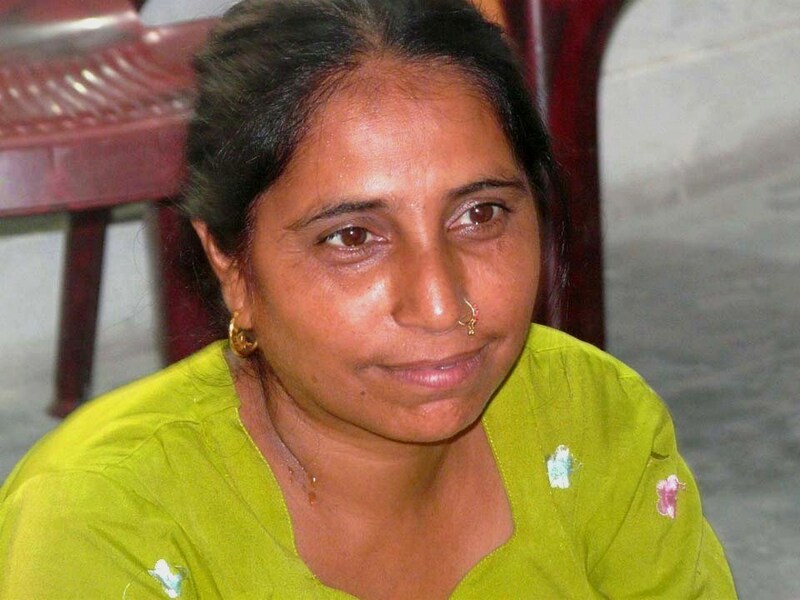 Come join us in the fight against female genocide in India! Please do support our petition for enforcement of existent laws against dowry and female feticide. Join us on causes on Facebook. And do visit our Gender Bytes blog. I just stumbled upon your blog. Thank you for sharing your activities – what a great idea. What a simple but novel action! This is a truly wonderful thing you are doing. I look forward to opening each post and the light that you bring to some new brave endeavour. Thank you! (The pictures are wonderful too) Love from me. I’m both nauseated and inspired by this article… not because of the quality of writing, but to imagine the struggle of millions of single Indian women. I have 3 good friends that live in India currently, and this has never come up in conversation. (They know I would have hijacked them out of the country otherwise!) But what’s appalling is that the faiths of Hinduism, Buddhism, Muslim, and Sikhism haven’t tackled this issue prior to this century. But then again, I don’t know enough about the intersection of religion and government in India. Off to learn….